At EZ you can turn your old/broken/out-of-date furniture, mattress, appliance, or TV into CASH towards any new item in our store! * That’s right! No more waiting, no more trying to sell it online, and no tricky removal! We pick it up and haul it away straight from your house! 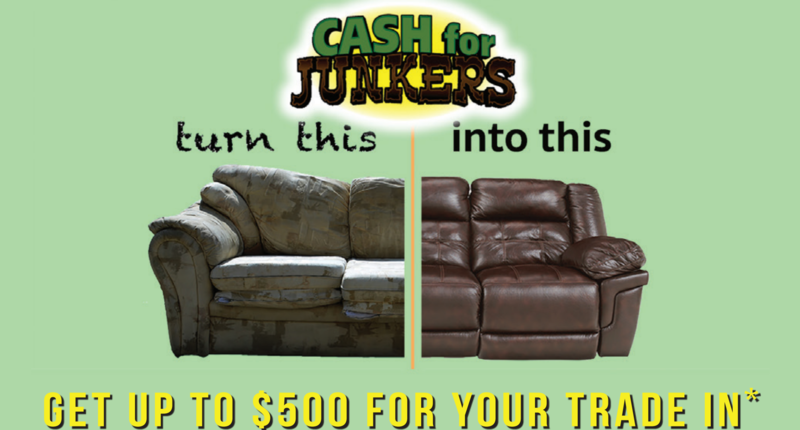 What item(s) are you looking to "cash for junker"? Upload a picture of your "junker". All of our payment plan items come with free delivery, installation, and service protection. That means you will always be up to date on the latest products! *value appraised by store manager. value given is applied towards a new purchase agreement. some restrictions may apply. see store for complete details.